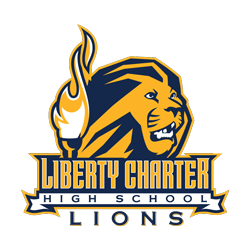 My name is Jonathan Terry and I am the Head Boys Basketball Coach at Liberty Charter High School. LCHS is a public charter school located in Lemon Grove, CA. As a charter school we lease and do not own our facilities, therefore less money is available to fund after school activities, including sports teams. Fundraising is necessary to field quality programs. We are actively seeking individuals, families, and businesses willing to sponsor our team. Liberty Charter High School is a 501(c)3 organization and all donations are tax deductible. Donations of $250 or more will be acknowledged with a banner proudly displayed in our home gym. Your gift may also eligible for acknowledgment in our parent newsletter, website, weekly school-wide assemblies, game programs and on social media.